At California Coastal Horse Rescue, we believe that all horses deserve the chance to have happy, safe and peaceful lives filled with kindness, care, and love. 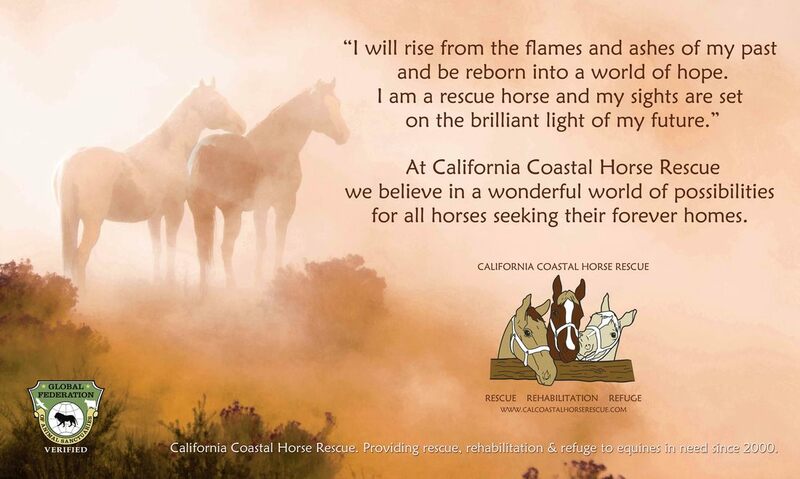 The Mission of CCHR is to rescue abandoned, abused, neglected and slaughter-bound horses and to provide them with a second chance at healthy and productive lives. CCHR relies on the generous support of donors, friends and sponsors. 100% of your donations go to care of the horses and the maintenance of their home and sanctuary. Your support will preserve a truly forever home for rescued horses. In order for CCHR to continue being able to rescue and successfully rehabilitate horses, the Rescue needs to urgently pay off the loans on the current property so it can preserve the rescue property for all the horses who live there now and those who will live there in the future. Your financial support will help to secure the ranch and let the ranch continue to be a place of hope and sanctuary for horses. This video was created and produced by Blue Border Photography. ​Jessica is a lovely 16-year-old Arabian/Saddlebred mare. Jessica came to CCHR without ever having been handled but she is doing very well and and has really blossomed. Very sweet and friendly; Jessica is now being ridden successfully in an arena and out on trail. She loves trail rides! Looking for a healthy and tasty equine treat? Well, look no further! Hoof Tappin' Treats™ are here! 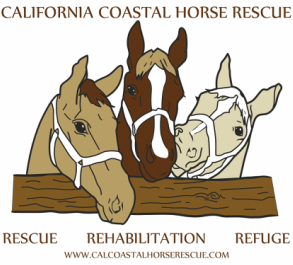 Help support the horses of California Coastal Horse Rescue by making a donation.